M&T Logistics primary business is linehaul, transporting a diverse range of goods interstate, ranging from alcohol and items for Australia Post. The growth in the business can be credited to Milosh’s work ethic and attitude towards looking after his customers. He also has a passion for looking after his drivers and they in turn look after him; it’s a clear win-win situation based on mutual respect and pride in their work. M&T is a sub-contractor to established transport company Over the Top Transport. The partnership began out of the friendship between Milosh and Jose, the owner of OTTT. “It has been a mutually beneficial relationship,” Milosh assured. “It has been great for us and we both hope this partnership will continue to expand in the future,” he went on to say. As a testament to the relationship, all M&T trucks carry the OTTT logo. 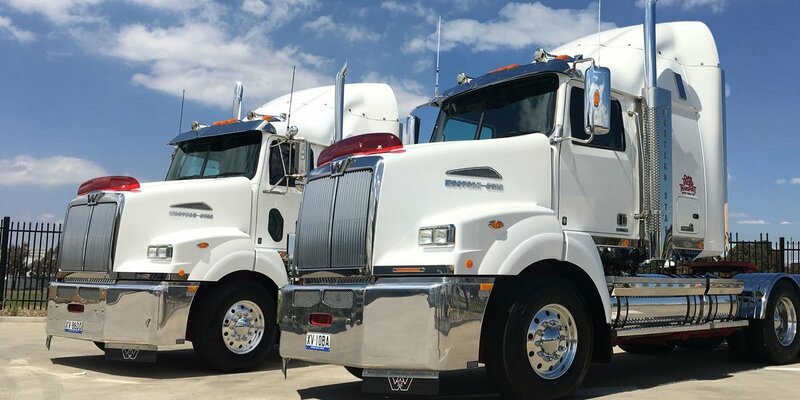 M&T’s relationship with Westar and Western Star trucks began after Milosh had reliability issues with his previous brand. At Westar he met Sales Consultant Jarrod Bennetts, who he had known from a previous business relationship. Their serendipitous meeting subsequently led to the development of a good partnership. “Jarrod is excellent to deal with,” Milosh praised. “He looks after his customers and knows all the ins and outs of the Western Star products, so it has been great working with him again,” he continued. 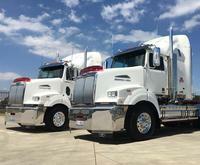 Milosh went on to purchase two Western Star 5800 Prime Movers that tow B-Doubles. They both feature the powerful Detroit DD-15 engines and feature extensive chrome work including chrome alloys. One of the trucks is a manual, which was delivered on 1 December 2018 and the other an automatic which arrived a month prior. With its set-back front axle and super high-visibility bonnet the Western Star 5800 offers excellent manoeuvrability and makes driving a more stress-free experience. 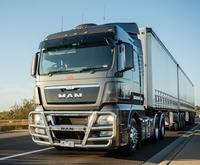 The trucks automatic transmission has also been well-received by the drivers at M&T. “They love the convenience of the automatic transmission, especially when they‘re driving in town; it’s great in stop-start traffic so city driving is a breeze,” whether that be Adelaide, Melbourne or Brisbane,” Milosh added. The drivers at M&T are also very proud of the vehicles and keep them in pristine condition. 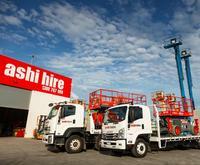 “The drivers greatly enjoy driving these trucks and take a lot of pride in them,” Milosh explained. “Our drivers usually wash them every week and the interiors are spotless,” he added. Milosh himself is always out on the road driving the manual which he loves. “Overall, the Western Stars are performing very well and another order for one could well be on the horizon”. The future of M&T Logistics looks bright. “There was a lot of pain at the start but we are optimistic the future is going to be really good,” Milosh said. “The Western Stars will certainly play a key role in that; they have been great for us,” he concluded.